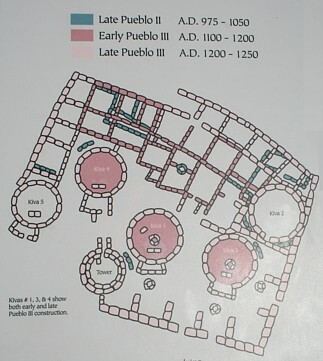 Map of the Far View community pueblos and Far View reservoir. 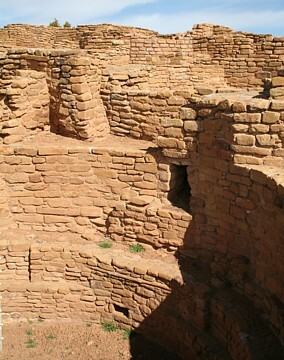 Inset image above is a detail on Far View tower. 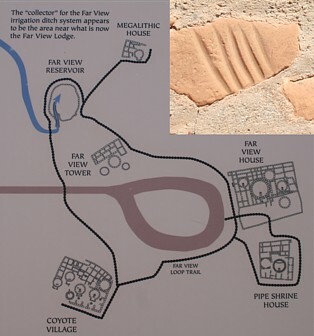 Below, a petroglyph stone at Pipe Shrine House. Far View House tower and kivas. 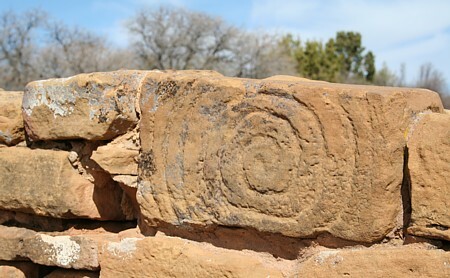 constructed with pecked stones. 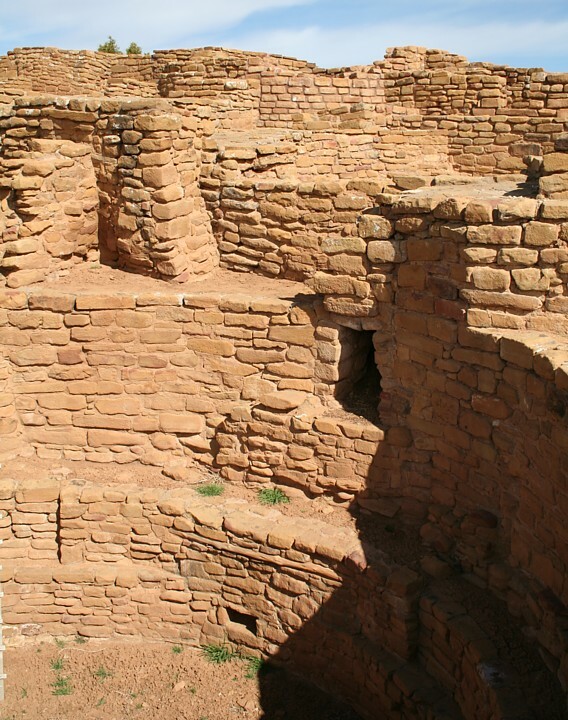 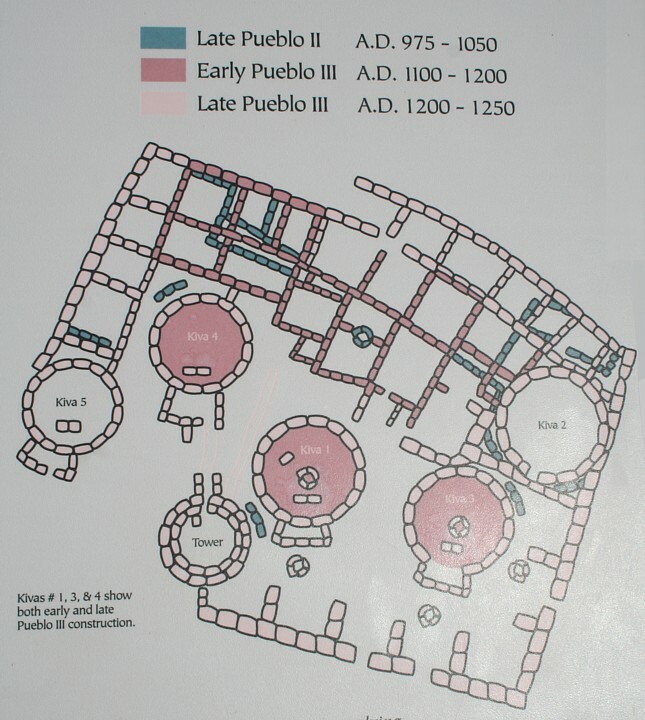 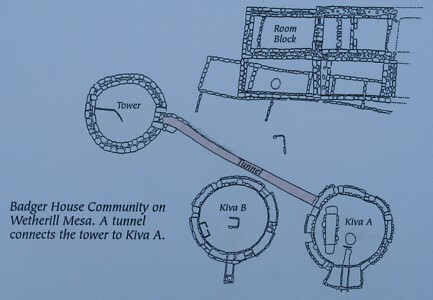 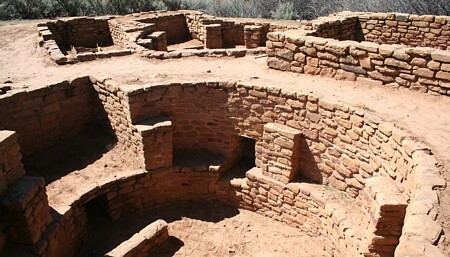 Several kivas have tunnels leading to towers. 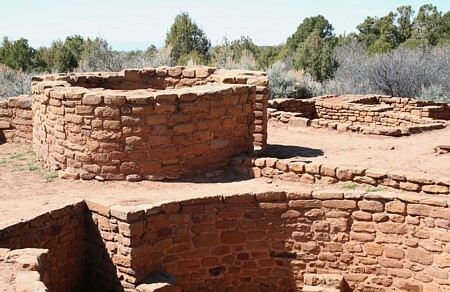 Kiva and room block at Far View Pueblo. Far View reservoir, interpreted as human-engineered water collection and/or meeting place. 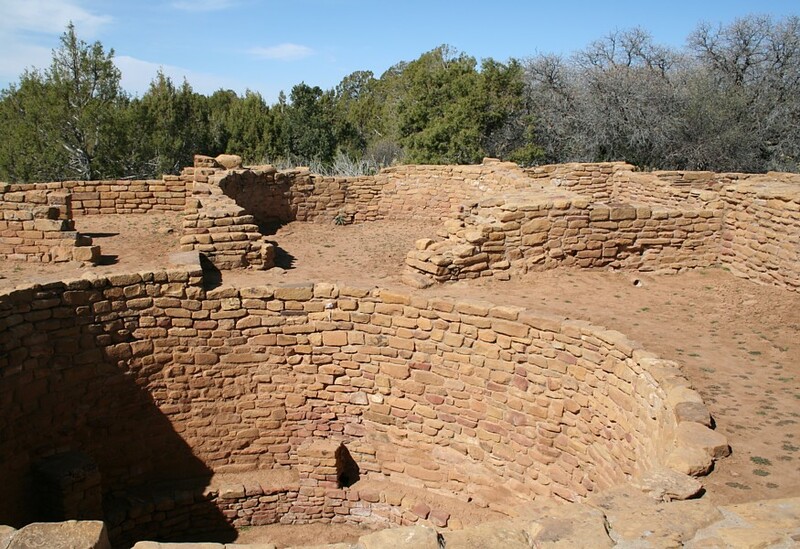 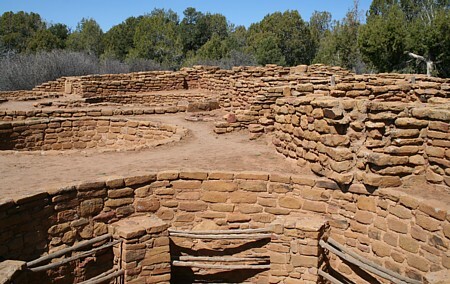 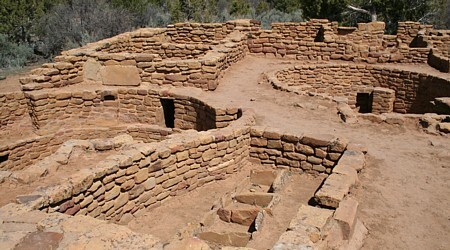 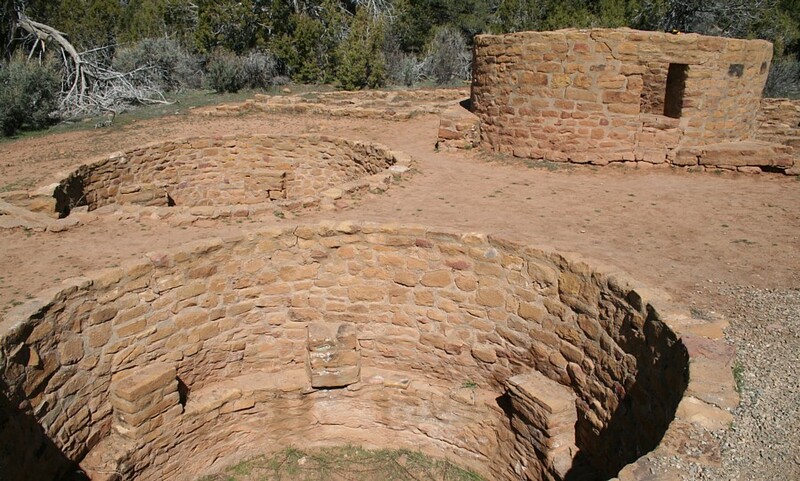 The prehistoric Mesa Verde reservoirs were commemorated as a "National Historic Civil Engineering Landmark" in 2004. 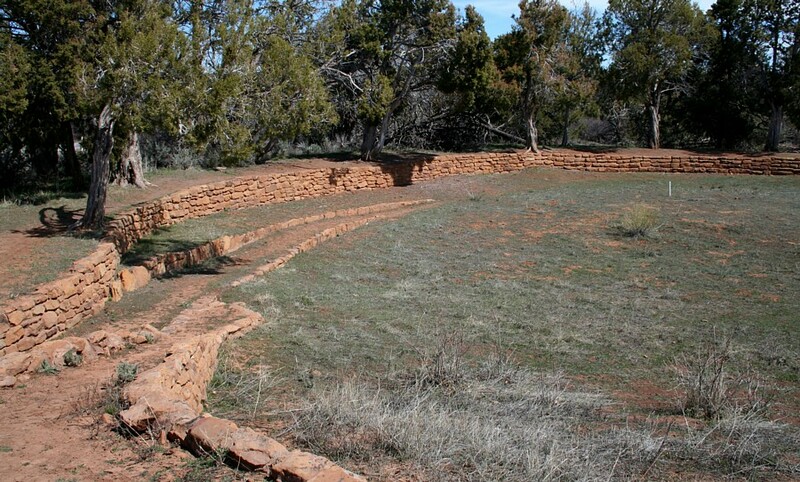 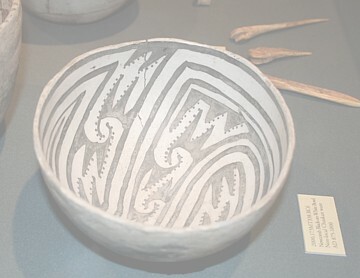 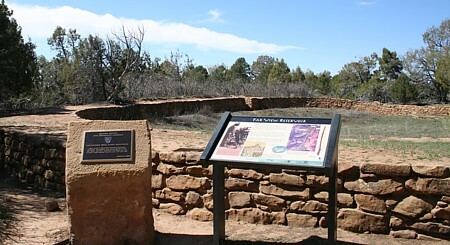 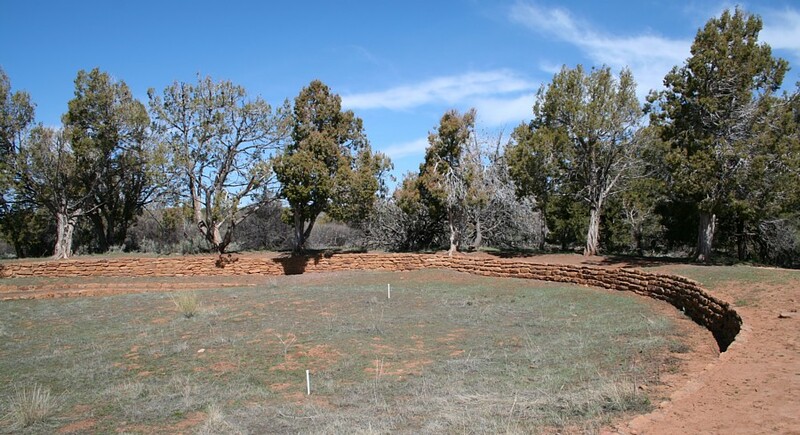 The plaque reads, in part, "Mesa Verde's industrious Ancestral Puebloans designed, constructed, and maintained Morefield, Box Elder, Far View, and Sage Brush reservoirs for domestic water-storage betwen A.D. 750 and 1180." 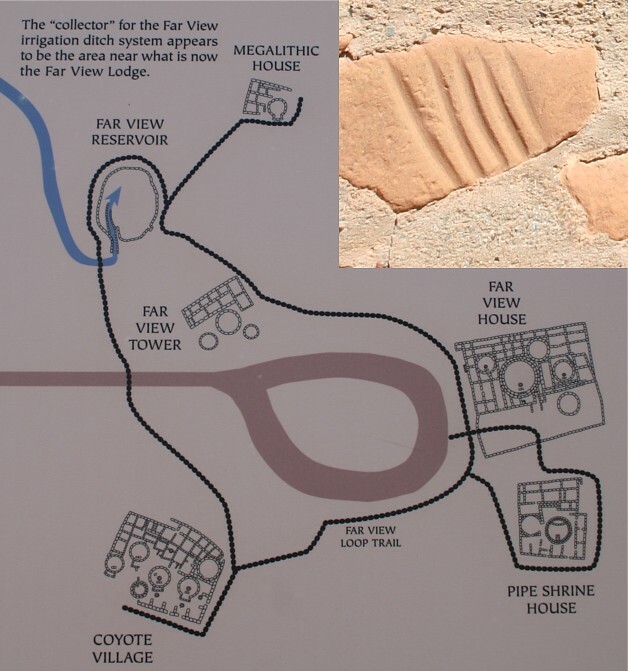 Megalithic House is so-named due to a room block wall built with a base of large stones. Keyhole-shaped kiva in Coyote Village Pueblo. 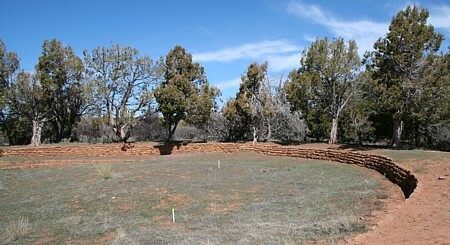 View of Coyote Village from the southeast corner of the pueblo. 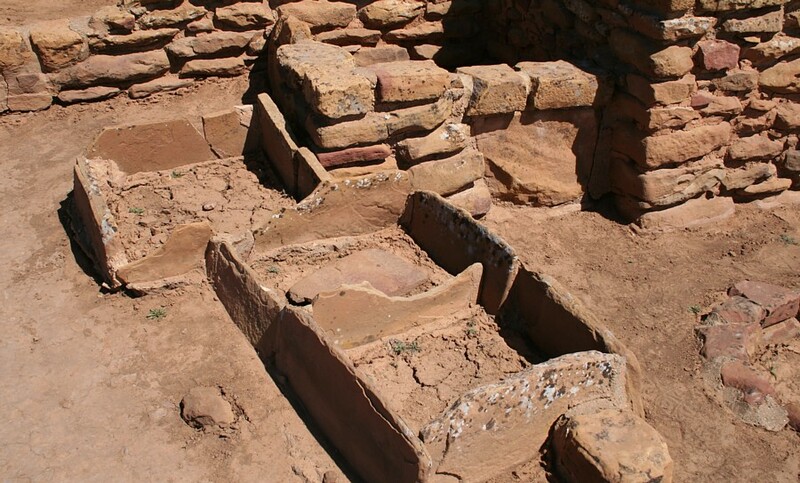 Were these pole shelves in the large kiva bunk beds? 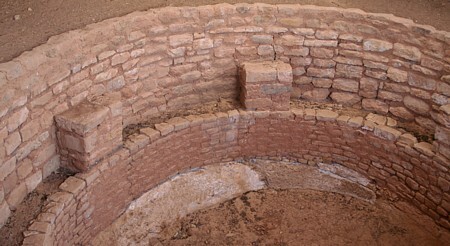 Several corn grinding stations are well-preserved in the ruins. Coyote Village tower and the adjacent kiva are cardinally oriented.